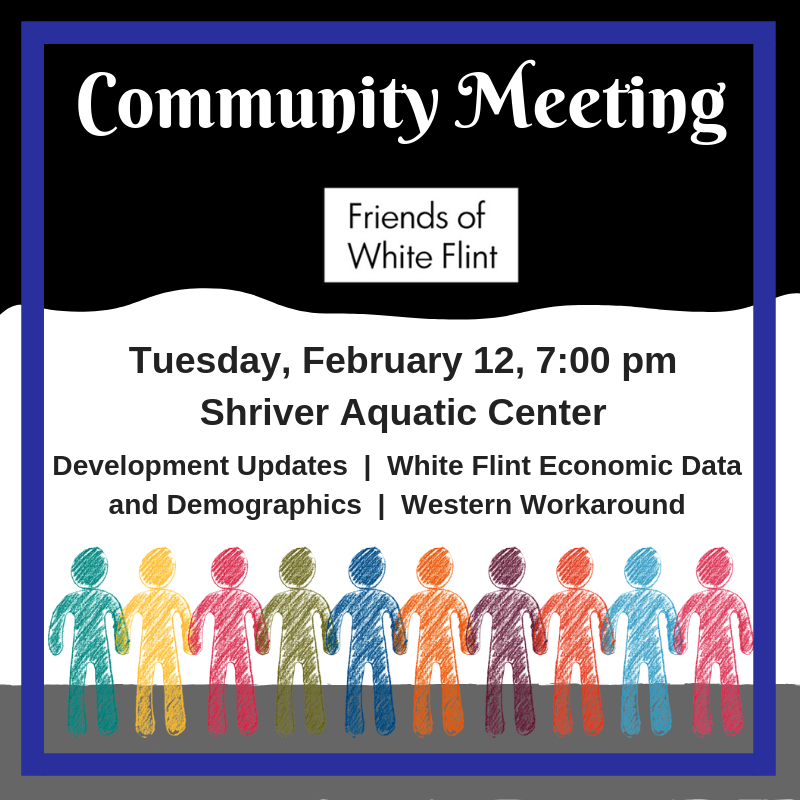 We hope you can join us for a Friends of White Flint Community and Board Meeting. We’ll discuss development updates, White Flint economic data and demographics, and the western workaround. We’ll also have time find out what issues and questions you have. Tuesday, February 12, 7:00 pm, Shriver Aquatic Center.